Most SLA printers use a laser or DLP to shine a pattern on the resin. The light hardens the resin instantly, creating a layer of material that the printer then pulls up and out as the object grows. The UV LCD in the $2,699 Inkspire throws an entire layer at a time and is nine times more precise than standard SLA systems. 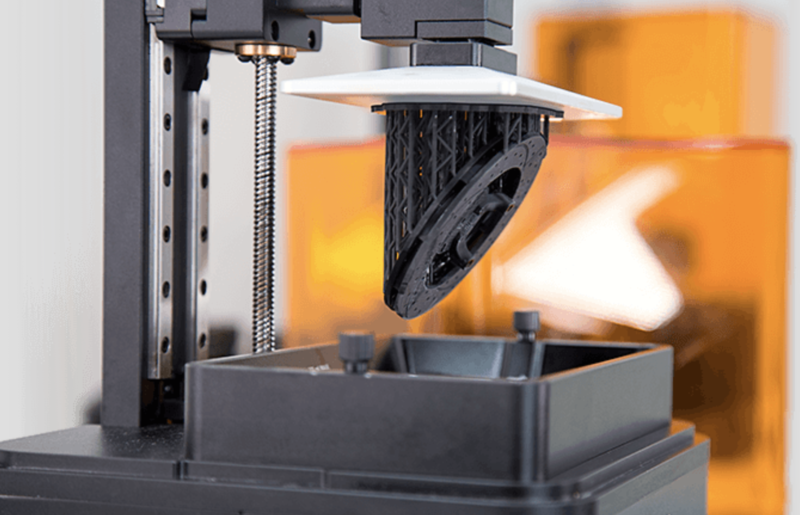 It can print 20 to 36 millimeters per hour and the system can print objects in serial, allowing you to print hundreds of thousands of small objects per month.